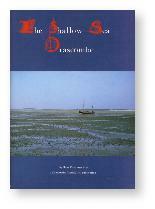 A manual of seamanship for Drascombe owners, written and illustrated by Hans Vandersmissen the well known Dutch marine journalist and Drascombe owner. 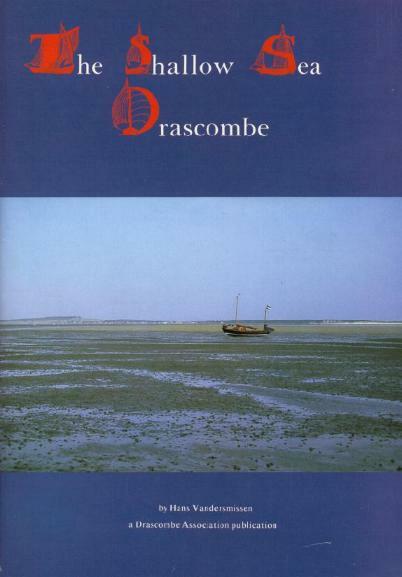 A history of thirty years of Drascombes and ten years of the Association, compiled and written by a group of the members. 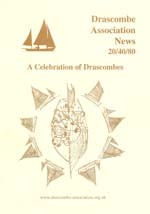 Published in 2007, DAN 20/40/80 celebrates 20 years of the Association and 40 of Drascombes - the boats and the people who designed, built and sailed them. Books written and published by members. 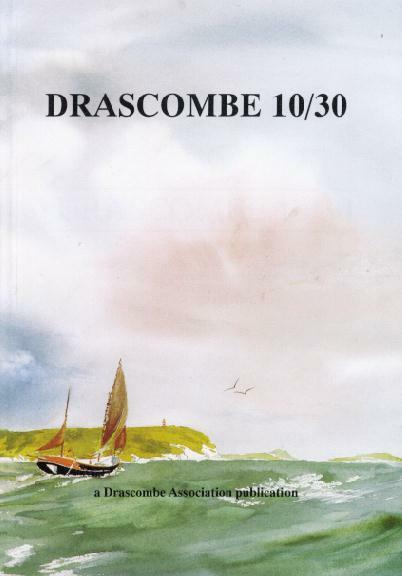 Drascombe Round Britain - a circumnavigation in easy stages. 20 DAN style cruise reports plus thoughts on boats, gear and passage planning. Available from the DA shop. An account of the Hopwood's trail/sail adventure through Scandinavia, the Baltic states and St Petersburg. There is also a web site where you can see the chapter list and a few of the photos. The Association also holds a library of some of these books for lending to Members. David Pyle's story of his voyage in a wooden Lugger from England to Australia in 1969/70. Webb Chiles' first book of his Lugger voyage describing the first successful Pacific crossing ever made in an open boat. Webb Chiles' second Lugger book telling of the longest nonstop open boat voyage ever recorded and his subsequent experiences in Saudi Arabia. The first of Ken Duxbury's Lugworm books - sailing in Greece. Ken Duxbury's sequel to 'Lugworm on the Loose'. Ken Duxbury's story of a Lugger sailing in the Scillies and Hebrides. Hans Vandersmissen's first Drascombe manual. Idyllic days in a wooden Lugger around Rhodes, written with humour and sharp observation by lan Brook. The book with a Coaster on the cover. Written by John Glasspool giving practical advice on preparing a small boat for cruising, with hints on comfort, safety, trailing and launching. Geoff Stewart's account of his 1973 Atlantic crossing in a Longboat. This book is now available in the UK from The Sea Chest Nautical Bookshop. "Frank and Margaret Dye have vast experience of cruising in dinghies. Most of this has been in their famous 16ft Wanderer, which proudly took her place in the Greenwich Maritime Museum after having sailed 40,000 miles with them in 19 years." 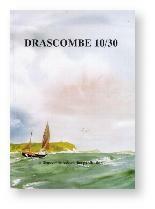 Listed below are a selection of books likely to be of interest to Drascombe sailors, and people interested in Drascombes, that are available to buy online at the Amazon (UK) online bookshop. If you are studying for your Day Skipper ticket this is the book you will need. Exercises to help you on a day Skipper shore-based course. 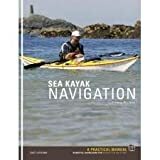 The new official course book for anyone taking an RYA Dayskipper, Coastal Skipper/Yachtmaster course. With full colour graphics by Sarah Selman, this book guides readers through the intricacies of weather in the northern hemisphere. It explains how to interpret area weather forecasts, modify them for local conditions and improve their accuracy. Aims to help owners get the best from their sets and make full use of the facilities available. Delicious, nutritious, satisfying dishes for breakfast, lunch, dinner, and dessert -Menu plans for three-day and seven-day cruises. "Death was just there in the water alongside us. You could sense it was there... The whole boat was completely engulfed in white water, completely submerged. We went into the night thinking the next wave could be the one that took us out." A book that endures as a 'thundering good read' almost 100 years after it was written, and clearly based on real, hard experience of navigating small boats in challenging waters. The whaleship Essex sank in the South Pacific in 1820. Twenty sailors pulled away from the wreck in three frail boats, but only eight survived the next three months at sea. This is an account of the disaster, told by one of the survivors, who only lived because... well, read the book and find out, although it's probably fair to say that you may never complain about an end-of-cruise leftovers stew again. October 1991. The 'perfect storm' was that rare event, a once-in-a-century gale of such immense power and ferocity that it was perfect - that is, it could not have been any worse. Hundred-foot waves and winds of 120 miles an hour transformed the ocean into a lethal maelstrom, the kind of nightmare sailors only witness once in a lifetime. Aboard the sword-fishing boat Andrea Gail, skipper Billy Tyne and his crew find themselves heading unwittingly towards its frenzied centre. Dinghy Cruising is a popular, practical activity, pursued by hundreds if not thousands of sailors. Where do I start? What do I need? Who can help me? The book is filled with questions and although many solutions are offered, absolute answers are not given, only guidance, to encourage individuals to explore ‘avenues’ and to think for themselves. This chart pack containing five sheets covers the popular sailing area of the Upper Clyde. A2 format. 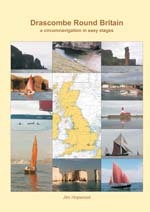 Set of 11 charts covering the West Country Rivers and local coastal areas. In A2 format suitable for small chart tables and compatible with Yeoman plotters. A pack of 7 charts covering from Crinan to Tobermory and Fort William. A2 format. 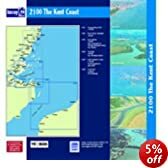 UK Small Format Charts comprising six small format charts covering the Kent Coast. A2 format. UK Small Format Charts covering Suffolk and Essex rivers, River Ore and Alde, River Deben and Orford Haven, Walton Backwaters and Harwich approaches, River Stour and Orwell, River Blackwater, River Colne, River Crouch, River Crouch and Roach. A2 format. 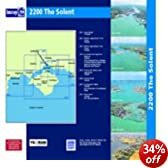 A pack of 8 charts covering an area from Selsey Bill to Poole, including the Isle of Wight. A2 format.